Another busy month at the railway, with the beer festival a huge success also being one of our busiest weekends ever. And I almost forgot – Peppa Pig was also down. Having meet Peppa, I am now known as a close personal friend; this has given me a great deal of kudos with my younger grandchildren. After all, it’s not every granddad who knows the posh pig! The £5.00 Cab rides on the 37/47 Locos were, yet again, a huge success over the Mixed Traction weekend, with a long waiting list of people wanting to ride. The cost of the pass goes to the Diesel fuel fund, which allows us to finance the running of our fuel-hungry 100-ton beasts for extra weekends. It came as a great surprise to discover that we have a bridge engineer in our midst – and a very good one at that. If you have been down to the railway, you will have seen our 19th century Great Eastern railway footbridge, which was recovered from a footpath which crossed the Central Line at Woodford. 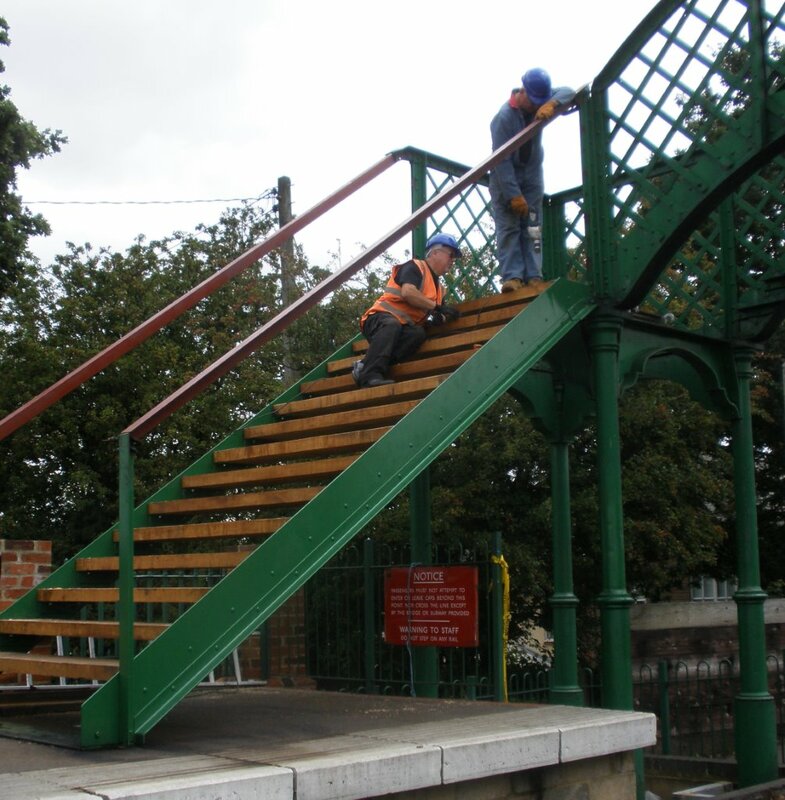 It was partly re-erected at the eastern end of North Weald station, minus the staircases which were beyond repair. Funds have been accumulating slowly since we opened and, with the great help of a large donation from a member, work has started erecting newly designed stairs. 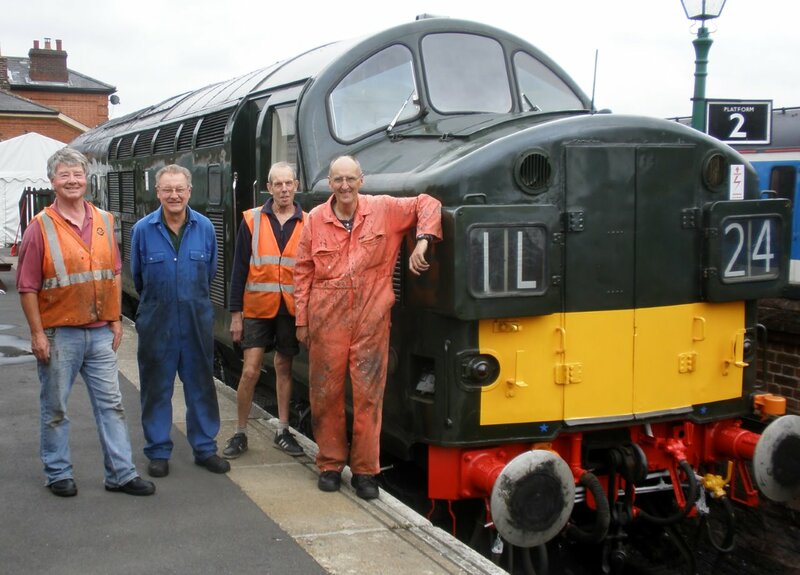 The Diesel restoration team have been working in platform two on the class 37 project and have watched our volunteer bridge team, under the direction of our very own bridge engineer, slowly erect the kit of parts which were a joint design by external engineers and our great man. Having had the chance to see the bridge returning to life close up, I have to say the designing and erection of a modern structure to blend in with the old lattice work bridge has proved far more complex than I would have thought. Making a modern, computer-designed laser-cut component mate with the original hand-built bridge (with a lot of the original components probably completed on-site by blacksmiths), it would appear to be a bit of a black art. Once the stairways have been completed, the team will then refurbish the main structure as required. The bridge has been making rapid progress. The sides will be completed to a matching style of the main bridge. As is normal, the 31 has been hard at work on engineering and vegetation control trains, as well as some weekend passenger trains. She has been her reliable self, though sadly has had to be stopped with worn tyres, now pending tyre turning. The class 37 project has now been completed, with almost all the work required on the body work done. We have had to take a pragmatic approach to some of the small areas of bubbly rust as she is still a working machine. 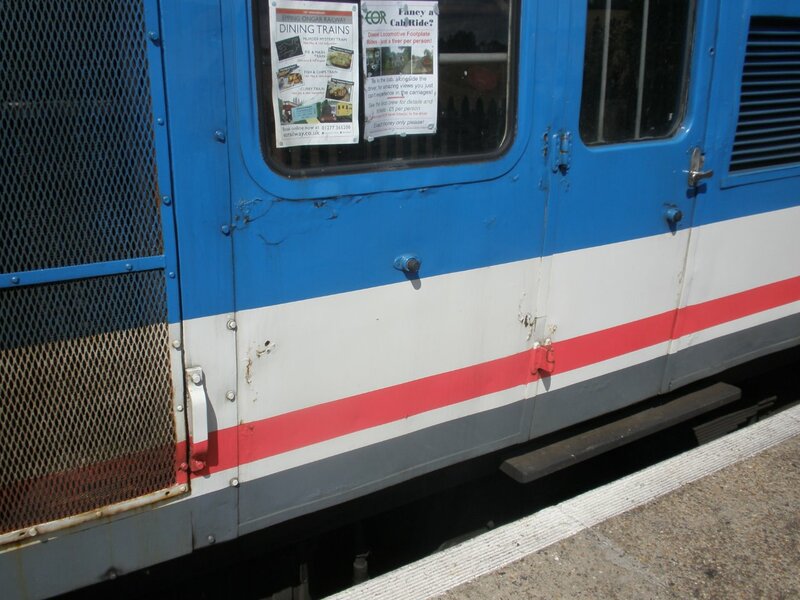 When working on the body, we cut down through remnants of DRS blue, rail freight grey and, on occasions, corporate BR blue/yellow paintwork, as well as lots of body filler – some dating back many years judging by the layers and thickness of paint. We completed the first Bronze Green top coat only for the skies to open, and a rain storm ensured. Not good for the final finish. This week, a rub down and another thin coat of Bronze Green paint. The 37 recently disgraced herself by failing with low main air pressure, which was traced to a split brake cylinder seal. This has being repaired and she should be back in service shortly. Strangely, sourcing the new parts proved far more difficult than the repairs. Chris Travers laughs as the inevitable storm starts – just after the final top coat was applied. After 8 months of hard graft, the team pose with their finished handiwork. Now most of the highly technical faults have been cleared from the 47, Michael Drew – one of our engineers – has been working on mechanical issues, mostly on the air system. Sometimes, all that was required was the stripping of parts for cleaning and reassembling; some cases required a complete refurbishment. Lots of work in a very confined engine room space. There are bodywork repairs required on the 47, which are on the to-do list, which we must work through in a logical manner that is subject to both money and our volunteer skills & resources. Work was completed this week on the current task list, and the Loco was tested. She will be out again during our Diesel Gala. 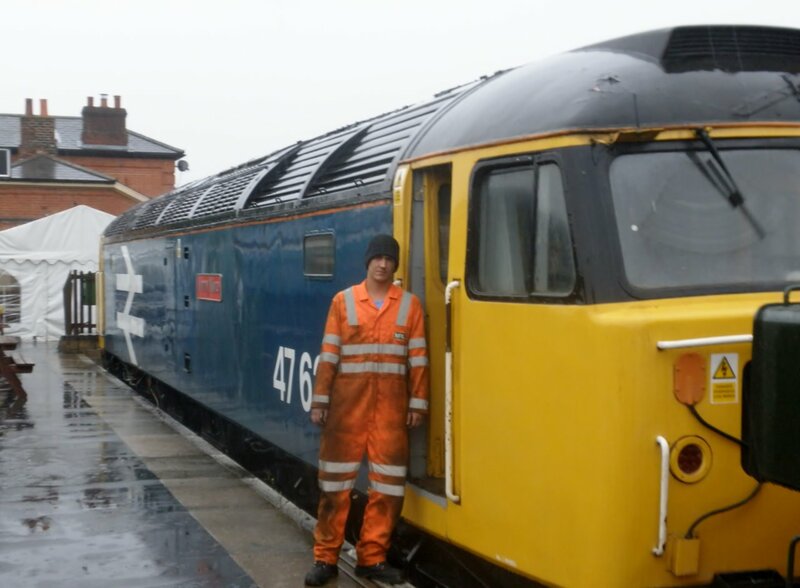 At long last, the 47 emerges from the shed in running order, after a lot of hard work by Michael Drew (one of our engineers). 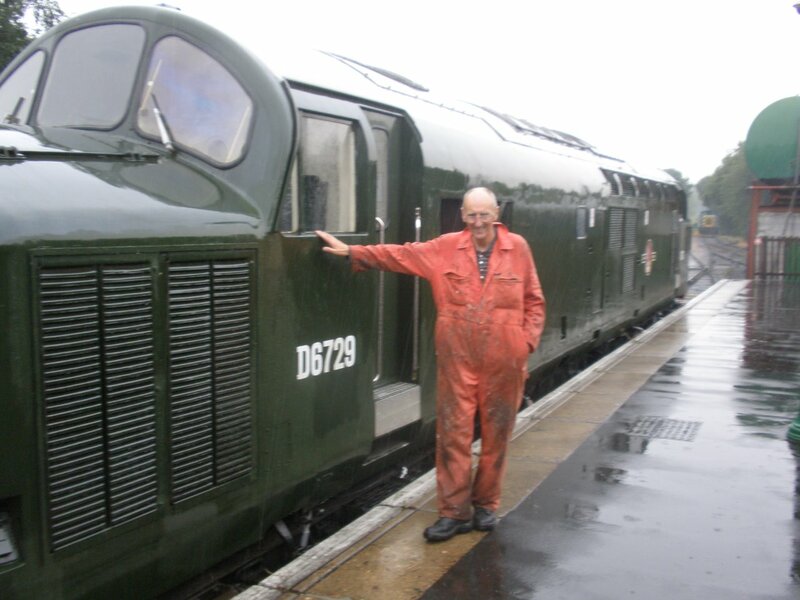 He has just completed final air system checks, using the 37 to supply air so he can work in a quiet engine room. 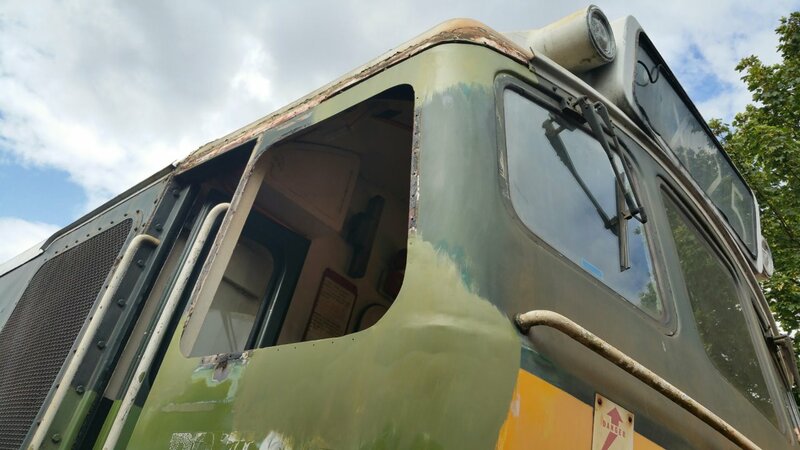 As you will see from the photos below, work on this locomotive’s body restoration continues well at our external engineer’s premises. Extensive areas of body work and internal framing have now been replaced. New cab corners and top sections have been fabricated and welded in place. Note that the gutter has been removed. Large sections of both the body side panels and the internal structure have been replaced. 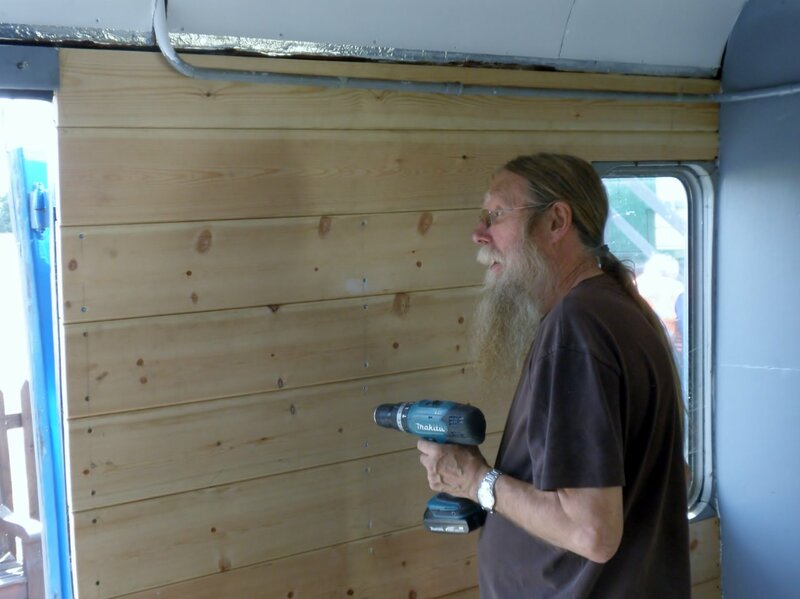 Work on the baggage compartment has now been finished, with a completely new celling and one wall, following long term water ingress damage; you may remember we repaired the roof last year. Smaller repairs have been completed to all the other walls and doors. The team issues in the baggage compartment similar to those in the 37 cab, with electrical components for the AWS equipment removed leaving wiring, conduit and opened relay contact boards which had all to be boxed in. Whilst looking around the baggage compartment, at all the work performed by our teams of volunteers, I realised it looks just the same as before, the only give-away being the smell of new paint and, of course, the absence of a sagging roof and rotten walls. Next week, we start work on repairing external body work rust. Once our repairs are completed, the Network SouthEast livery will be made good by respraying. Most of you will know that the correct livery for our rebuilt Thumper is the Network South East colour scheme she carries at present. To look at the completed baggage compartment wall now, it just looks like any other tong-and-grove wooden wall. But each individual plank had to be tailored to allow for the large amounts of conduit housed behind the wall. Fitting the last plank in the wall, which was a work of art in itself. The baggage compartment is now completed and repainted. Rust coming out from the Thumper engine room. The team have been asked to investigate and repair. 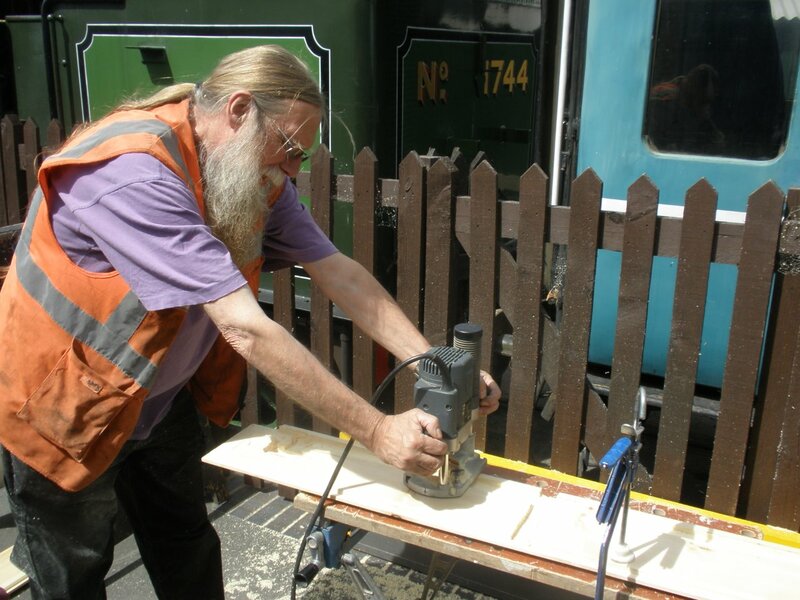 You might remember that our colleagues in the C&W team have renovated the railcar set internally, but the external bodywork was found to require more work than anticipated. The project was temporarily put on hold, pending funds and resources. The project is once again on the move. The Ongar end power car has been put in to the shed at North Weald, ready for the team to start work on repairing the external bodywork (which is a highly skilled job,) and for further mechanical work on the underfloor engines. I am pleased to report work has started on the body work repairs and paint work. Whilst working on the vegetation control train, in between shunts movements, I was watching the incredible amount of local wildlife that lives and hunts on and around our permanent way. While working around the E&O, I have spotted Deer (both Fallow and Muntjac – one even came into the NW Depot one Thursday), rabbits by the score, squirrels, foxes, badgers (in the evening), small rodents, many species of bird, insects by the million, and last weekend a Buzzard flew in front of the train with a grey squirrel in its talons. Last Christmas I counted more than thirty Deer in the field behind North Weald signal box. It would appear that the railway line is, for the most part, an uncultivated wildlife corridor, linking Epping Forest with many smaller woods across South Essex. Next time you are at the railway, look out for the wild life – especially the Buzzards; fantastic birds which can be spotted along (or above) most of the line.